In a move said to be coincidental with the recent accident of the Asiana 777 at San Francisco, the US is increasing the flight experience required for first officers on US airlines. The policy change in the US has also re-ignited previous calls in Australia to raise minimum licensing requirements for first officers. Changes to aviation legislation in the US stems from the Colgan Q400 accident in Buffalo in 2009 in which 50 people died. 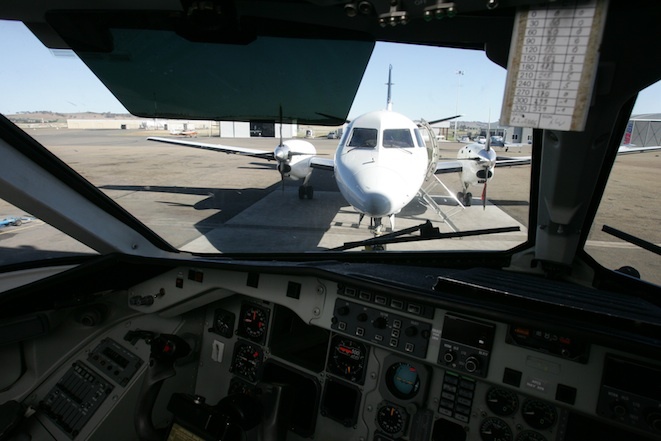 The new rules implemented by the Federal Aviation Authority (FAA) mean first officers will now need Airline Transport Pilot certificates – equivalent to Australia’s ATPL – to take control of US commercial airliners or cargo aircraft. The new certificates will require a minimum of 1,500 hours’ total flight time, up from the previous 250 hours and requirement for only a commercial licence. Additionally, captains will need at least 1,500 hours of flight time in addition to now 1,000 hours as a co-pilot on a commercial carrier. The Colgan accident investigation raised questions about pilot training in which the pilot in command failed to respond appropriately to a stall warning. It draws parallels with initial considerations of the Asiana accident. However, whether the FAA moves to enforce such legislation to crews operating commercial aircraft in US airspace remains uncertain while investigators consider whether crew experience in the Asiana accident was in any way contributory. Former inspector-general at the US Department of Transportation and now aviation lawyer Mary Schiavo, said as initial investigations into the Asiana accident were being carried out that the minimum time required for aircrew to be able to be in command of commercial aircraft approaching US airports would likely be a point of interest. Meanwhile in Australia, president of the Australian International Pilots Association (AIPA) Capt. Barry Jackson said he stands by the 22 recommendations made by AIPA in 2010 to a senate enquiry that among other proposals stated “that an ATPL… be required for first officers in high capacity regular public transport (RPT) jet aircraft such as Boeing 737, A320 and other aircraft of similar or greater capacity”. The 22 recommendations contributed by AIPA, said Jackson, “have been ignored by the current government”. “AIPA’s view is we support the changes as being sensible and responsible. We set out that an ATPL was a minimum for high capacity jets,” Jackson explained to Australian Aviation. “Our view is of the same opinion as the US that the requirements of the ATPL can be reduced with an approved tertiary program or military background used to offset the requirement for 1,500 hours. Irony is that the 1,500hr rule change would NOT have prevented either accident outright. The Colgan crew exceeded these hours and the Asiana crew well exceeded them. 1,500hrs doesn’t mandate a safer pilot. In fact a recent ATSB report said it made little difference when they compared cadets to direct entry pilots. Yes, that surprised me too. They need to spend the time and dig down to find the root cause of the incident rather than play the experience card at every turn. The facts surrounding OZ214 at this stage indicate that two 10,000+hr Captains are just as good at crashing a perfectly servicable aircraft as the two lower hour pilots on the Colgan Dash 8. All due respect to Capt Jackson, but he has an alterior motive with theincreasing use of cadets in Australia. He wants to protect his union members from this ‘threat’. But you have to wonder at the end of the day is the pilot who’s ‘done the time’ beating around in a light twin operating single pilot going to be better than the pilot who has done their training exclusively for the multi-crew environment that exists in the vast majority of the RPT world? It would seem the common thread amongst all of this (Asiana, Colgan, Cadets and hours of experience) comes down to CRM, cockpit authority gradient and assertiveness. Unfortunately these things have been factors in accidents long before we came up with terms for them. Probably not long after we put more than one person at the controls. It is not my intent to analyse the acidents quoted in the article, or refered to by the other responses. That said, the increasing demands placed on cockpit crews to cope with increased airspace congestion, sophistication of modern aircraft, and the tendancy to increase seat capacity in modern aircraft does warrant a review of airlines’ practices to get first officers into the right-hand seat as soon as possible. From 42 years in the aviation industry, 36 years as both military and commercial pilot and flight instructor, I have yet to find a reliable substitute for experience. In placing a young cadet straight out of a training program into a high capacity aircraft within a very high demand airspace, airlines have effectively halved the flight and command experience in the cockpit. First Officers are placed there to support the cockpit workload, but more importantly, to take command decisions and execute them when required. This could require a First Officer to excert his/her judgement and even overrule an Aircraft Commander if the situation so dictates. In order to call on such experience to excert his/her judgement call, pilots need to have built up flight and command confidence up the channel of flight experience. Even the more physical “stick-and-throttle” experience is seriously lacking in the new generation of airline pilots. I only have to think “Hudson River” or the A380 engine failure to appreciate what difference both flying and command experience can make when called upon. I do not think we are fully complying with our duty of care towards passenger and aviation in general in the drive to place young and inexperienced pilots into airline cockpits at as low a cost and as soon as possible. Within a very short time we will end up in a situation where this generation of pilots have progressed into command seats. We will then have a situation where the overall flight and command experience in the cockpit is further reduced. CRM is a process taught to all cockpit crew. However, it requires time and experience for this to become an imbedded skill set. This process should be conducted under the tutorship of aircraft commanders with extensive flight and command experience. And – no Ben. I do not believe an additional body at the controls will do the trick. Experienced human minds are what makes the difference. We should develop and nurture those yound minds and provide them with the tools to eventually enable them to make the command decisions. Might I draw some readers to the recently released ATSB report into pilot experience in airline operations. As many people in the industry already know, apart from cadets, Australian airlines (regional or otherwise) will not recruit low time pilots as first officers. The onus is on the airlines’ to make sure the standard of training, both technical and non-technical) during a cadetship prepares the individual well enough to shoulder the responsibility of being a first officer. The ATSB report seems to confirm that Australian airlines are taking the necessary steps to ensure this happens. To further open pandoras box, I ask when is a cadet no longer a cadet? Qantas has successfully run cadet programs since the early ’60s with many of these ‘cadets’ having now retired after long successful careers some even holding management pilot positions. The Regional Express cadetship has seen its cadets into the left seat with some of the first course cadets now holding commands for over 18 months. in Australia,it is very hard to get a job with airlines due to cost and also the experience required.why is it that most big airlines are running their cadets in Australia yet Australian airlines especially Qantas nolonger run their cadetships?